http://cinziamazzamakeup.com/?x=comprare-cialis-generico-con-postepay Is it okay if I’m feeling a bit reminiscent and sad when I say that this is the last post, the last recipe, from Chanté and Cody’s wedding? 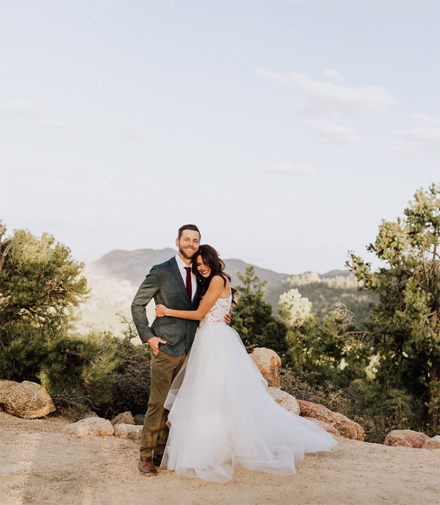 After the months of planning and anticipation leading up to it, all the work and joy surrounding the wedding weekend, and the fun of posting and reliving it, I’m sad it’s really over. But then again, if anyone knows how to drag out a happy event, it’s me! Here is a list of the recipes that made up the taco bar with links to each recipe. 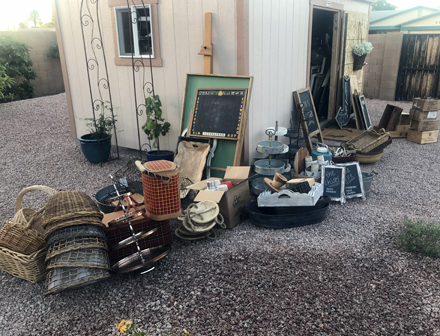 This same list is posted Menu and Party Ideas over there on the left side of the page, so you can easily find it when you’re in need of taco bar recipes. Preheat broiler to HIGH. 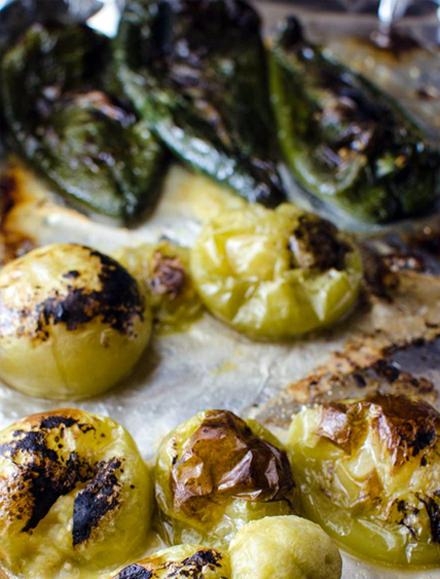 Place the tomatillos, poblanos, jalapeños, and shallots on a foil-lined baking sheet. Place the garlic on a square of heavy-duty foil, drizzle with oil, and wrap into a small tight packet, place packet on backing sheet. Drizzle the vegetables on the baking sheet with foil as well. Place the baking sheet about 8-inches below the broiler element and broil until the tomatillos and poblano peppers start to char, about 10 minutes. Turn over the vegetables and broil for another 5 to 7 minutes, or until the other side is charred. 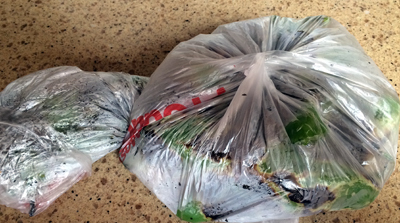 Place the poblano and jalapeño peppers in a plastic bag to steam. After about 15 minutes, remove from the bag and peel. Open the peppers and remove the stems and seeds. Cut the stems out of the tomatillos and place in a food processor. Add the peeled peppers to the blender along with the roasted shallots and garlic. Use the pulse button to roughly chop the vegetables. Then add the broth, salt, and cilantro and run the machine until the mixture has come together and is well chopped but not completely smooth. 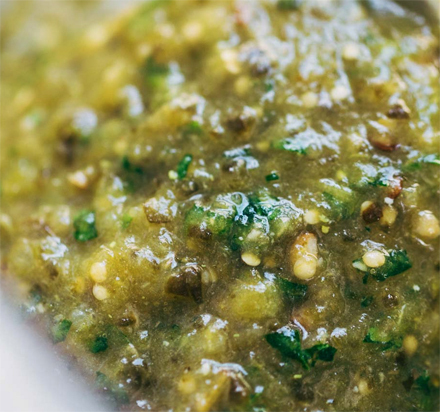 Pour mixture into a 4-cup glass measuring cup, up to the 4-cup line, reserve any remaining tomatillo sauce. 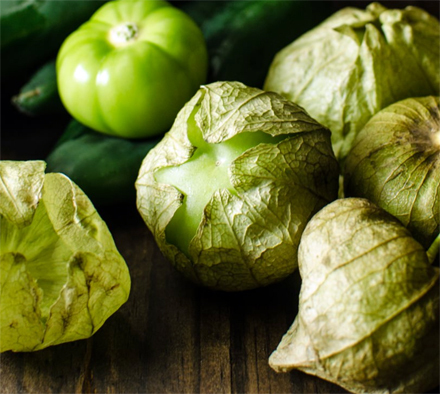 Pour the 4 cups of tomatillo sauce into a large saucepan or a pot and bring to a boil over medium-high heat. Stir in rice. 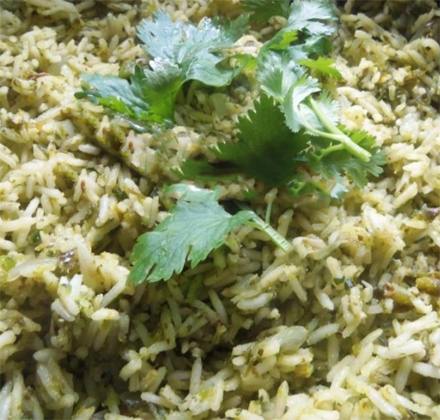 Cover the pan; reduce heat to low and cook for 20 minutes or until rice is tender and tomatillo sauce is absorbed. Stir in some or all the reserved sauce to make the rice creamier, as desired. Taste and season as needed. Garnish with fresh cilantro and serve.